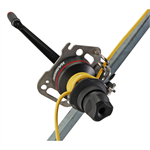 You searched for all products matching "arachnipod"
Drive adaptor for Cordless drills to be used for Harken Winches. The Riggers Winch provides the user with a lightweight, two-speed, self-tailing CE certified, portable winch mounted to a robust adaptor plate. 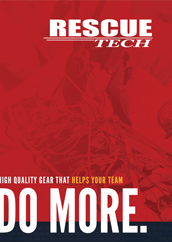 The double handles of the Harken winch attached to the SkyHook TrailTech bracket provides the mechanical advantage and ergonomic ease for a single-man operation. 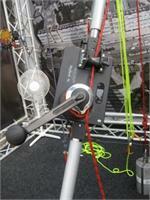 A New version of the SkyHook rope winch system for multi-mission use. The new lightweight version of the SkyHook rope winch system provides the same efficient, safe, durable and user-friendly operation as the Classic model with the benefit of having a lower weight, but without losing any quality or gear ratio. 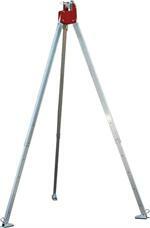 Basic Version of our Technician Tripod. 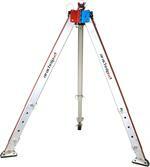 Features 2 swiveling rigging point. Max height: 99.6 in. 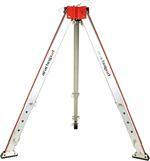 Full strength at full Extension: 8093 lbf (36 kN) - No Leg Hobbles Required! 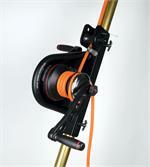 A two-speed, self-tailing, manual winch with a removable handle for compact storage. 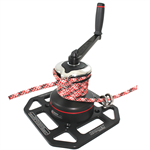 The winch is mounted to a versatile base plate which features a guide roller assembly (GRA) that allows for easy placement or removal of the static kernmantle rope. New Cable Winch for Technician Tripod. Features clamp on attachment bracket, Double-Locking Swivel Snap, and cable weight.